Preston Bailey's Inspirations from C.H.I.P.S. 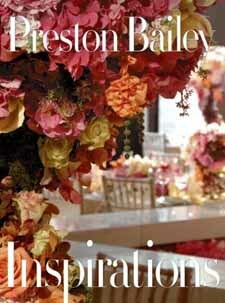 Preston Bailey's Inspirations is an exquisite sourcebook of ideas for creating the perfect ambience and decor for any major party or event. 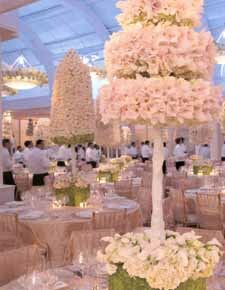 Preston Bailey has spent 23 years creating the decor for the most lavish of celebrity parties, weddings, and other high-profile events. Preston Bailey's Inspirations is packed with gorgeous full-bleed and double-spread photographs of 10 such parties. 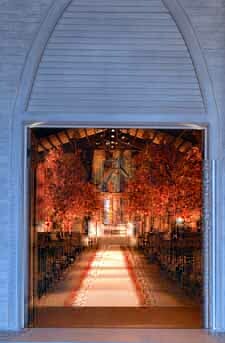 They range from modern to romantic and the majority of arrangements pictured—Bailey's amazing centerpieces, hanging arrangements, chair adornments, place settings, etc.—have never before been seen. Above all, Bailey encourages anyone planning a party to allow their creativity to blossom and have fun while designing their dream event.